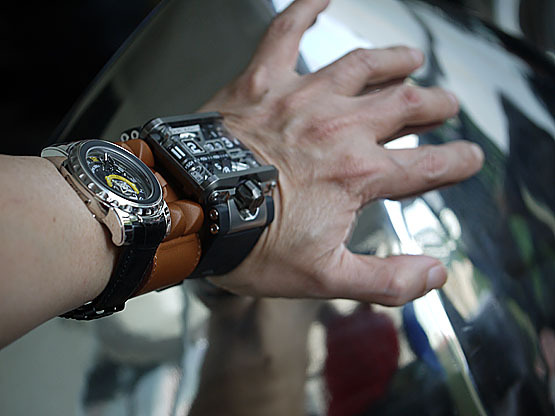 Bernard Cheong Doctor Watches Life: You CAN wear 2 watches on one arm!!!! 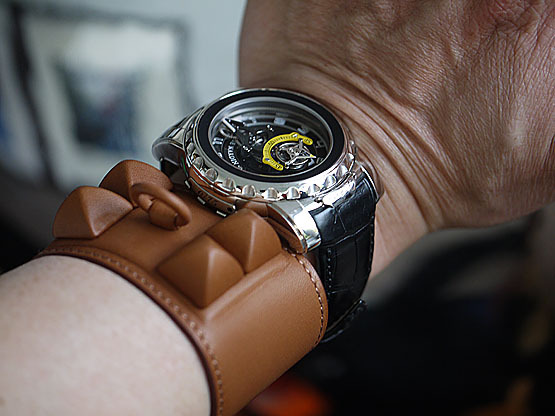 Or a watch that was too large/small..
You CAN wear 2 watches on one arm!!!! Or a watch that was too large/small..
Not all of us will look like Irin Gan as seen here at my clinic, with a Ulysse Nardin Diavolo. Petite girls/women look good mostly, with very large watches...but some men will find the CDC from Hermes quite a good thing. 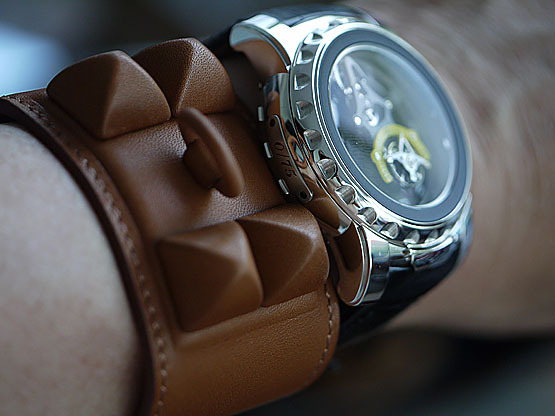 On say one less expensive watch to be seen close to the wrist, and hidden up the arm..an uber watch!